Major League Baseball ushers in a new era of cheating. 1967 Major League Baseball (MLB) World Series featured the St. Louis Cardinals. The Series remains one of my earliest memories. On a tree swing in the backyard, I listened to the game. Hanging on every pitch, the radio broadcast from the kitchen window. We sat outside in the shade due to the extreme heat. Growing up in Omaha, my grandfather, parents and everyone loved Bob Gibson. My grandparents lived across the street from the high school, where he remains a legend. Their home was a stone’s throw from Creighton University where Mr. Gibson starred. Although remembered today namely for his ferocious attitude, he was more. Whether on the playground, for the Harlem Globetrotters, or in the World Series, he was hands-down the best athlete present. Similar to Michael Jordan or Bo Jackson, his feats approached humanly unbelievable. With admiration, you can imagine I pay attention when Mr. Gibson speaks. About the steroid era, he reveals. He likely would’ve tried such substances. He indicates athletes’ cheat due to the extreme pressure to succeed. Particularly, the best teams and players experience tremendous pressure to sustain greatness. His candid remarks relate something telling about American culture crossing all eras. Fast forward to the present. MLB entered a new era, where identities, information and security are valued. Similar to the steroid era, teams on top inadvertently set the precedence. I am referring of course to the St. Louis Cardinals. They are under Federal investigation for stealing an opponent’s player information. It pains me the Cardinals leadoff the era of identity management scandal. In this era, intellectual property is worth as much as the players themselves. My intent is not to reminisce and reconcile. Instead, I’d like to announce one of our newest customers. In congratulating a MLB team for demonstrating identity management leadership, I can’t. For obvious reasons, they choose to remain anonymous. They want their defense against competitor breaches to remain stealth. Why tip your signals? Similar to steroids, MLB identity management cheats changed the game. Team operations can never be as they where. Portrayed in Moneyball, the Oakland A’s began leveraging empirical data a decade ago. They used data to build a contender from undervalued talent. Moneyball represented assessments based on hunches and misguided theories as the past. These outdated methods were replaced with statistics, analysis, research and proofs. After demonstrating success, teams copied the Oakland A’s approach. With the rise of Moneyball, one can surmise. MLB entered the identity management era. After St. Louis Cardinals’ employees hacked into an opponent’s internal network. They stole closely guarded players information. They monitored internal discussions on trades, proprietary statistics and scouting reports. 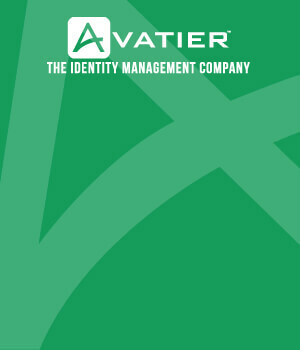 All MLB and professional teams can benefit from identity management. 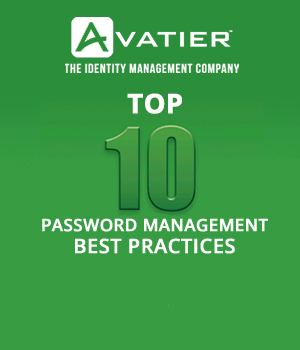 Strong Passwords: Enforce strong passwords and unify your password policy for systems, apps and software. Access Management: Ensure the right access for employees, consultants and partners to the right systems, apps and software. Multifactor Authentication: Require additional security for privileged access and access to sensitive information. Automatic De-provisioning: Remove access and privileges to systems, apps and software automatically through workflow. User Management: Manage all requests for IT operations and business services through a self-service online store. Group Management: Enroll and terminate group membership through rule based self-service group management. Attestation Audit: Perform real time IT security audits and compliance reviews on demand. Access Governance: Automate audits of virtually any system, asset and approval under your control. Let’s not be mistaken. My purpose is not to expose one of sport’s most successful organizations. Nor is it to criticize a team winning 11 titles over all. As you must recall, I work in technology. In the last year, Apple called a cease-fire on its Google intellectual property war. They stated legal fees over $32 million as the reason. Oracle claimed Google used its code in creating the Android operating system. Apple paid, Smartflash a Cisco acquisition, $533 million for intellectual property infringements. Yahoo sued Facebook for copying 10 patents. And, HP filed litigated against eleven different entities to protect two patents. Rather than condemn the St. Louis Cardinals, I say to MLB. Welcome to the big league. Begin your identity management initiative by following what corporate compliance experts recommend for the workflow automation of businesses processes, self-service administration, information security, and IT operations.